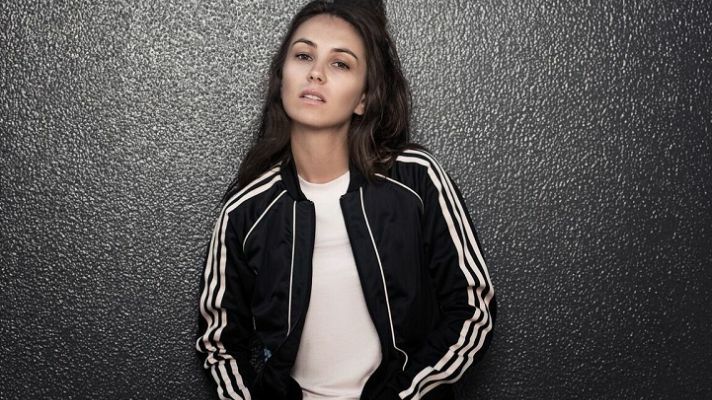 ARIA Albums Chart saw Amy Shark blow away the competition, as her debut album featured at No. 1 in the weekly rankings. Meanwhile, the Australia singles chart saw ‘In My Feelings’ by Drake top the rankings. The album ‘Love Monster’ has got off to a great start, overthrowing ‘Scorpion’ by Drake in the albums chart. The set includes hit singles ‘Adore’ and ‘I Said Hi’ and features other famous artists such as Mark Hoppus and Jack Antonoff of Blink-182 and Bleachers respectively. The album is produced by Joel Little, who has previously worked with Lorde, Broods and Khalid and Dann Hume, who has worked with Courtney Barnett, The Temper Trap and Troye Sivan. Shark commented on her album’s success, saying that she did not expect to even have her album released, let alone top the rankings on the ARIA Album Chart. She said that it had been an incredible journey so far and she was delighted to hear the news, as she prepares for her performance at The Splendor In The Grass. Shark, who hails from the city of Gold Coast in Australia, has visited the United States five times in the last two years. She made an appearance on the ‘The Late Late Show With James Corden, as well as ‘The Tonight Show Starring Jimmy Fallon’, before the release of ‘Love Monster’. She is scheduled to return to Aurstralia during the months of August and September for her biggest tour. After that, on the 21st of September, she will return to North America for live dates. This week’s albums chart has also witnessed the soundtrack of ‘The Greatest Showman’ fall down a place from No. 2 to No. 3. Starting this week at No. 4 is the soundtrack of ‘Mamma Mia! Here We Go Again’, while ‘Divide’ by Ed Sheeran, declined a couple of places from No. 3 to finish at No. 5. The platinum certified album sold 500,000 units during the week. At No. 6 is ‘Milestones… 20 Years’ by local country singer Adam Brand. The album is a compilation of songs from his five sets that have finished in the top 10 and others as well. Meanwhile, debuting in the top 50 in the albums chart for the first time are ‘The Babe Rainbow’, with their third album ‘Double Rainbow’ making the cut. The set by the rock outfit from the town of Byron Bay, makes an appearance at No. 18 in the rankings. In the ARIA Singles Chart, ‘In My Feelings’ by Drake has risen two places from No. 3 to finish at No. 1 in the rankings. This is the Canadian rapper’s third single to top the chart in 2018, with ‘God’s Plan’ and ‘Nice For What’ being the previous two. Drake also managed to peak the rankings in May of 2016 with ‘One Dance’. The latest single by him has displaced ‘Youngblood’ by 5 Seconds of Summer at the summit. The song had been No. 1 for eight weeks in the rankings, which was the second longest streak by an Australian band or artist.